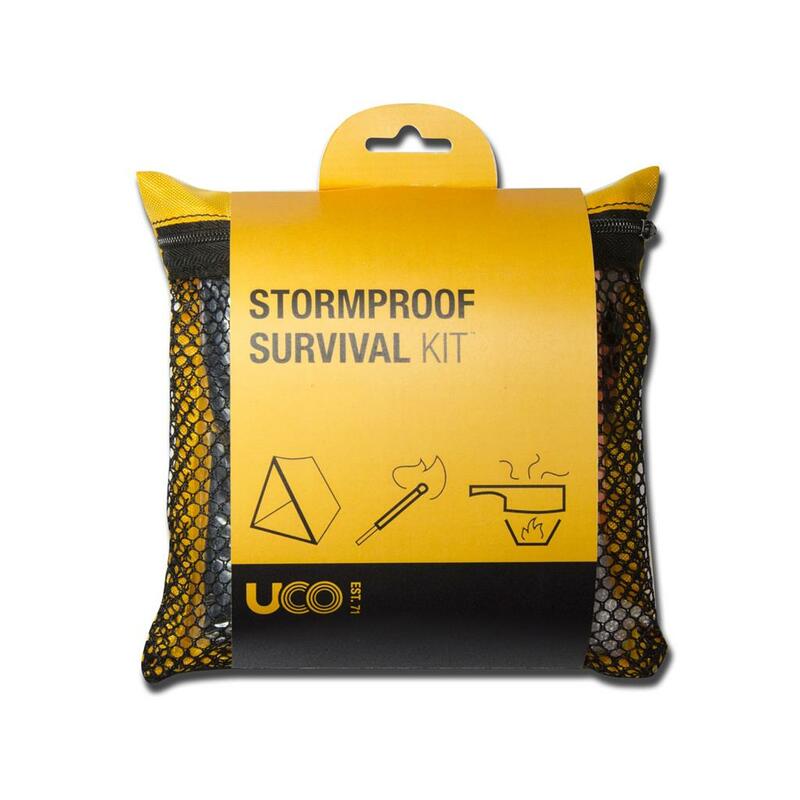 Start your 10 essentials survival kit with the Stormproof Survival Kit! 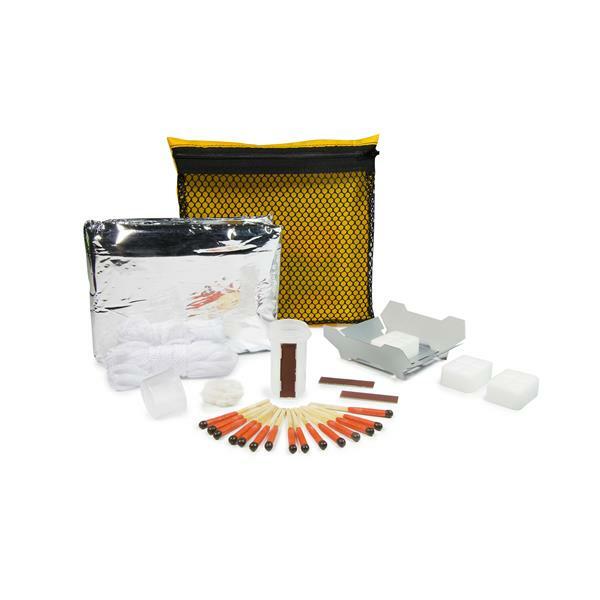 The essentials for fire, cooking, and shelter all in a compact bag. 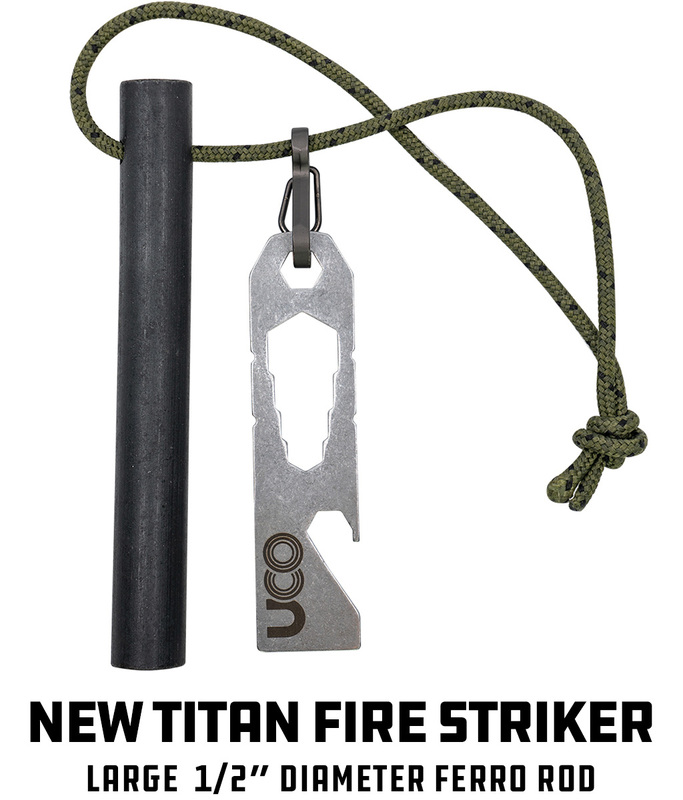 The UCO Survival Stormproof Match Kit contains 15 compact Stormproof Matches that will stay lit for up to 12 seconds and will light in any weather—plus they will relight even after being submerged in water! 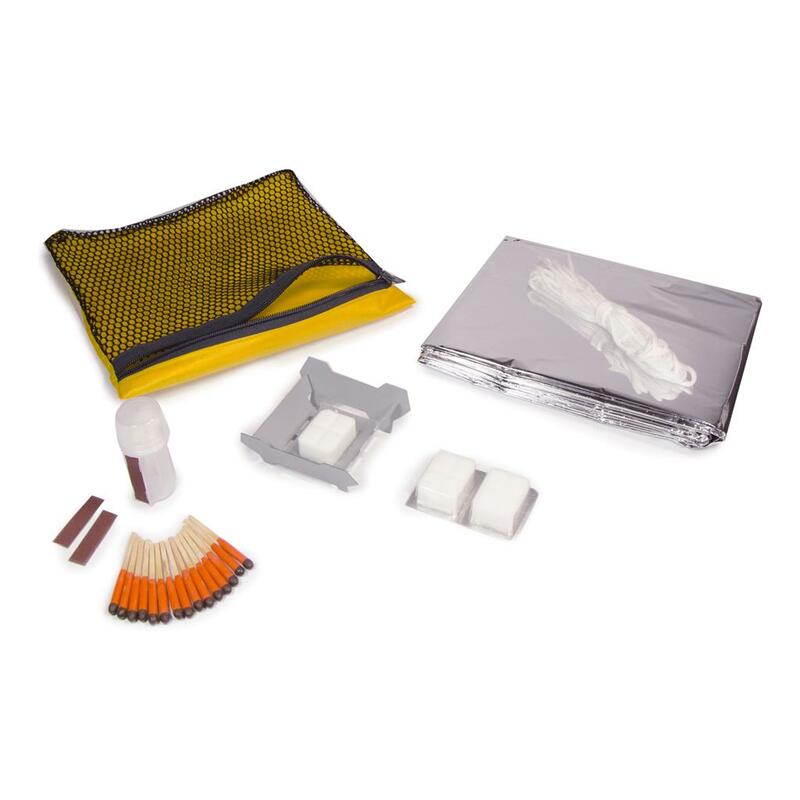 The Esbit® Emergency Stove is easy to fold into the cooking position for use then will fold flat for storage. It includes three 14 g Esbit solid fuel tablets that burn about 12 minutes each—enough time to boil some water or reheat some food in a pot (not included). The polyester film tube tent provides compact emergency protection for two adults that retains/reflects back 90% of body heat to help keep you warm. Polyester film tube tent: Compact emergency protection in all weather conditions; Retains/reflects back 90% of body heat; Accommodates 2 adults - 59" x 94.5" (150 cm x 240 cm); Nylon cord included. 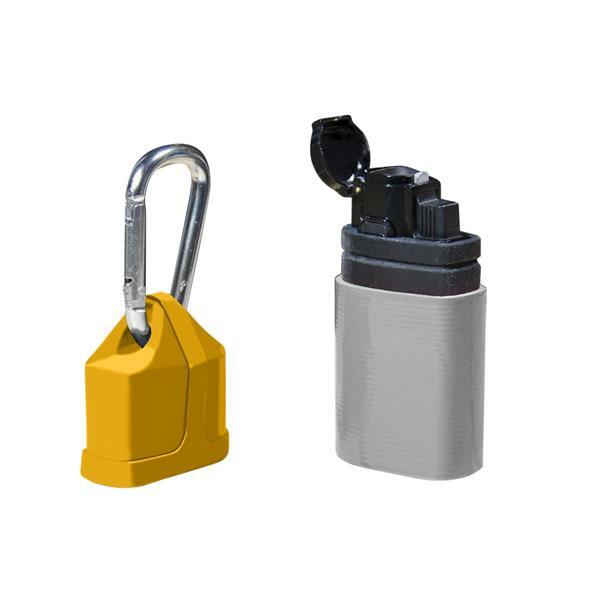 Esbit Emergency Stove: Folds into cooking position, then flat again for several uses; Constructed from durable, galvanized steel—lightweight and pliable. Esbit Solid Fuel Tablets x3: Large 14 g solid fuel tablets burn about 12 minutes each; Individually packaged for one at a time usage. 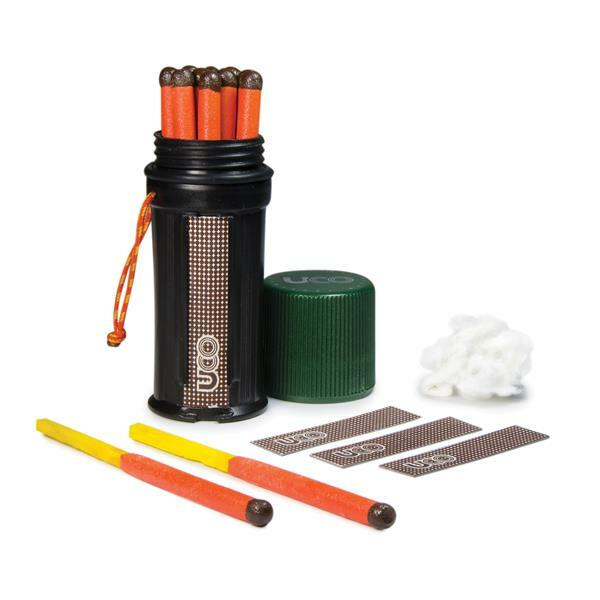 UCO Survival Stormproof Match Kit: 15 Survival Stormproof Matches™—windproof, waterproof, and burn up to 12 seconds.